Electric vehicles are fast-becoming popular around the globe, we can help Earth to progressively lower carbon emissions with these new environment-friendly cars. But competition among EV manufacturers is also very tough with Tesla dominating the market. Nissan has to prove it’s just as worthy of consumers’ trust. Nissan Leaf has a new exciting feature – ProPilot Assist! And this electric car, which was unveiled on Tuesday with little fanfare from the Japanese automaker comes at a very affordable price! Yes, compared to Tesla Model 3 and Chevy Bolt, Nissan Leaf is still a little behind when it comes to range. That said though, it should be noted that Nisssan Leaf’s new 150-mile range on a single charge marked a 40% increase from the 2017 model, yet 2018’s price is pretty much the same. This means a lot of savings for practical drivers. And, talking about practicality, a big percentage of drivers love to make short daily trips. Nissan Leaf 2018 is perfectly designed to meet that need. Moreover, with its new ProPilot Assist, most people will be very pleased. It’s a driver-assistance tool that can lessen your stress through advance cruise control. Your car remains in the lane even when it approaches traffic slowdowns and curves. It can also handle other bothersome situations like constant braking in stop-and-go traffic. ProPilot is very driver-friendly, just tap the blue button on the steering wheel when you want to use it and set the desired speed by tapping the “+” or “-” signs. ProPilot Assist, is powered by a front-forward radar, sensors, and camera. These help in maintaining your car center on a highway. However, it can have problems during heavy rains since its detection system relies on clear lane markings. ProPilot Assist has 2 major features: Intelligent Cruise Control and Steering Assist. When you turn on the ProPilot Assist, it will operate the Intelligent Cruise Control system first. This means the car can effectively deal with stop-and-go traffic, but no self-steering. Meanwhile, Steering Assist will start to function when your car is already able to detect lane markings. That may take some seconds or minutes based on road conditions. What was like test driving the car? Nissan Leaf intelligently kept pace with vehicles ahead without any unpleasant incidents of slamming the brake. There are arrows on the steering wheel which provide 3 options so you can control the space between you and the car ahead. This excellent feature will give any car driver a sense of tranquility from what is often a very stressful situation. With Steering Assist, it was a little less impressive. It encountered difficulty in detecting light or different lane markings. The system can turn on and off successively when there are changes on the color and pattern of the lanes, which could be bothersome. Also, it’s not very efficient in handling sharp curves. But, overall, ProPilot Assist proved great in dealing with heavy traffic which many of us have to deal with everyday. Kim Reynolds of Motor Trend: “Leaf 2 before us has not only flash-evolved into a svelte automotive shape, but it’s also learned to speak in the visual language of the rest of Nissan’s edgy designs.” Reynolds also commends Nissan Leaf 2018’s improved performance and responsiveness along with its quieter motor which make for a serene, comfortable ride. John Voelcker of Green Car Reports: “The 2018 Leaf has the spunky pickup and smooth acceleration from a stop that its predecessor and for that matter most electric cars offer. 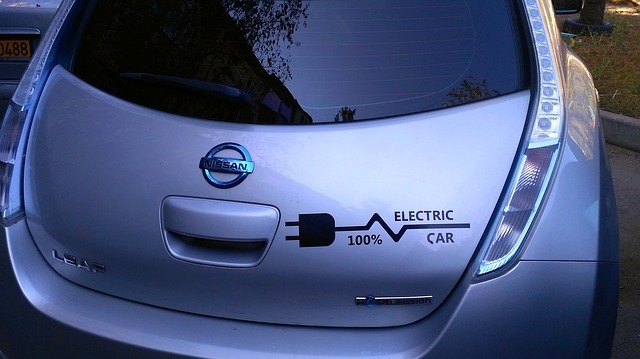 The difference is that where the old Leaf started to run out of breath at higher speeds, the new maintains stronger acceleration above 60 miles an hour, allowing a greater margin for sudden highway maneuvers.” According to Voelcker, this is attributable to Nissan Leaf’s motor which has been designed to be 40% more powerful: 110 kilowatts (147 horsepower) and 236 pound-feet of torque. Car buyers will get all these just for a starting price of $29,990! Mike Hanley of Cars.com: “The Leaf is also easy to drive. The light-effort steering feels natural when changing lanes and making turns, and large windows offer good views around the car. The suspension tuning delivers a controlled ride, and while it’s on the firm side it didn’t feel harsh.” Hanley added that the design of the standard e-Pedal system has made driving less taxing and the car’s overall seamlessness deeply impressed him. Tesla (NASDAQ:TSLA) and Chevy Bolt for the moment may both be at the top of the electric-vehicle market. However, Nissan Leaf 2018 is capable of competing in terms of grabbing more share of a market that is set to get crowded with its affordable price and new ProPilot Assist feature. What’s important to most customers is an environment-friendly car which can also help lessen their anxiety over everyday traffic at a cost that doesn’t break the bank.